Click Here for info and to Subscribe to our Online Newsletter. If the above link does not work, please visit our CONTACT page. ​offered by appointment only, ​providing individual attention to detail and learning capabilities. offered by appointment only, providing individual attention to detail and learning capabilities. Plus Size Models and Models age 40-70, Model Call! Categories: Women and Men of All Color! We are in immediate need of: Women: (Age 18-40 Plus Size 12-24 / 0X-3X), (Age 40-70 Size 0-24 / P-3X). RETURNING MODELS: If anything about you has changed since photos from last year (hair color/length/style, new tattoos/piercings, etc.,) we need you to come in so we can get info updated. It is also a good idea to come by to look over your paperwork and photos and let us know you are definitely a "go" for this year. You can access your form and photos without having to wait in line. Should take about 15 minutes. Or you can email the information to us at info@abqapparelcenter.com with related photos attached (new hair color/length/style, new tattoos/piercings, etc.,). Albuquerque Apparel Center’s, New Mexico Fashion Week, Model Call. Categories: Women, Full Figure Women, Men. Junior & Children Girls/Boys, other. Requested Attire: Women/Girls: Fitted white top, black fitted leggings, hair pulled back, natural make-up, and heels. Details: All models will be photographed and measured on site. Bring a comp card if you have one. (Need a comp Card? Google "comp card template"). Models chosen for the show will be notified between March 21 - April 3. Date: Saturday, March 5, 2016. Time: 1:00 PM - 3:00 PM. New Mexico Fashion Week happens because of the many people who volunteer their time and skills. To that end, we would like to thank everyone for their past and present commitments to our event! We could not do it without you. Plans are well underway for the third annual NMFW, which will be April 13-17. Once again we will be at the Albuquerque Convention Center, where we will have Runway Shows on Friday the 15th and Saturday the 16th. We will host a pair of Trunk Shows on Wednesday April 13 from 6:00-9:00pm in Nob Hill, have an industry Meet and Greet Thursday April 14th, After Parties following the two Runway Shows, and a Fashion Brunch on Sunday April 17th. Sixteen people attended our last NMFW Volunteer meeting on Saturday Feb 6th, and we welcomed many newcomers to the fold. We are in the process of contacting each of those 16, as well as previous volunteers who have completed volunteer information forms, to try to match up skills and interests with our current needs. For more information about volunteering at NMFW2016, please visit us online, email us, or call 505.803.6966. NMFW16 TICKETS ON SALE NOW! New Mexico Fashion Week has renewed its partnership with PicPocket for this year's event, April 13-17. The event, in its third year, will be held at the Albuquerque Convention Center, with Runway Shows and Expo Friday April 15 and Saturday April 16. PicPocket is a photo sharing app that is the pioneer in geo-fenced user-generated events. The app was in limited distribution at the 2015 event, and available only on Android devices. The app, which is free, is now available for both Android and iPhone users. Last year's test resulted in more than 600 photos being posted. Friends and fans of NMFW are invited to download the app now and start using it in advance for events of their own choosing. Upon arriving at New Mexico Fashion Week 2016, the app will recognize that the user is within the geo-fence that NMFW will create (about ½ mile radius). Users simply need to check in to the event, and start posting photos. "PicPocket is designed for people to post photos while in the moment. It can be your daughter's birthday party, the Super Bowl, or New Mexico Fashion Week. Friends and strangers alike can pool their photos, and then download or print." said Wolfram Gauglitz, CEO of PicPocket, Inc., developer of the app. All pictures posted to the event (which will kept open throughout April 15-17 while scheduled activities are at the ABQ Convention Center) can be seen by, and shared with, all other users who check in. Users can then choose to send any photo directly to the nearest Walgreens for inexpensive prints. PicPocket also allows users to cross-post to all of the other popular social media sites. "I am happy to have PicPocket as our official photo sharing site again this year. We put it to a tough test last year, and it worked wonderfully. We hope that many of our patrons will use it during the Runway shows," Melissa Lea Beasley, Founder and Executive Director of NMFW, said. February Newsletter: NMFW16 Host Hotel, PicPocket, Designer Spotlight, Autism Show Winner, TICKETS ON SALE!! New Mexico Fashion Week has announced that its host hotel for 2016 will once again be the Hyatt Regency Albuquerque. The event, in its third year, will be held throughout the city April 13-17, with Runway Shows and Expo Friday April 15 and Saturday April 16 at the Albuquerque Convention Center. The Hyatt is located across the street from the Convention Center. In addition to serving as host hotel, the Hyatt will be the home of After Parties 9:30-11:00pm on both Friday and Saturday nights immediately following the Runway shows, as well as a special Stepping Out In Style fashion brunch at 10:00am Sunday. Live music will be featured at both After Parties. "Everyone involved in New Mexico Fashion Week 2016 is ensured the ultimate good time with all weekend activities within short walking distance," Melissa Lea Beasley, Founder and Executive Director of NMFW, said. One of the goals of NMFW is to showcase downtown Albuquerque and its businesses. "We want all participants to fully experience our great city. Downtown has so much to offer. From the hospitality industry to restaurants, night life, and shopping, we have something for everyone," Beasley added. A special group rate has been offered for the duration of New Mexico Fashion Week; reservations can be made online here. The Hyatt is the only AAA Four Diamond hotel in in the downtown district, and offers a luxurious lodging experience. "We wanted to provide the best hotel possible for our patrons and participants," Beasley stated. Given its amenities and proximity to the Convention Center, the Hyatt is the best of all possible worlds for us." New Mexico Fashion Week has announced that its venue for 2016 will once again be the Albuquerque Convention Center. The event, in its third year, will be held April 13-17, including runway shows the evenings of the 15th and 16th. Other events scheduled include trunk showings on the 13th and 14th, an industry Meet and Greet the evening of the 14th, and a Fashion Brunch Sunday 17th. There will also be guest speakers leading a variety of fashion-related events on the 15th and 16th during daytime hours. Friday and Saturday evening runway shows will follow-up with lively after parties in downtown establishments. Tickets for the event go on sale in February. “Most of the designer spots have been filled. A couple of spots are still open as we search for the perfect accompaniments to assure NMFW16 is the best show to date,” Beasley added. New Mexico is one of the most popular destination for fashion and inspiration, and thanks to the knowledge and determination of the Albuquerque Apparel Center, New Mexico is being woven into the next Fashion Industry Powerhouse. New Mexico is a wealth of fashion inspiration and ideas that come from its diverse backgrounds and environments. The sights and essence of New Mexico create trends seen and produced all over the world. ..Southwest, Native American and Santa Fe style, Spanish and Mexican, to the Wild West Cowboy and Indian, to name few. In addition to the classic styles, New Mexico is also home to cutting edge Fashion and Accessory Designers who have forged a new design style of their own. Flying Star Cafe - Downtown Albuquerque, 723 Silver Ave SW, Albuquerque, NM 87102. At this meeting we will form various groups/departments, and discuss ideas/plans for our third annual event happening in April 2016. Our meeting will be held upstairs at the Downtown Flying Star, feel free to order food or drink when you get there. Let the cashier you’re with the meeting, and they will deliver your order to our conference room. This is your opportunity to join in on the fun and excitement of Fashion Week, and meet other like-minded individuals involved with its continued success! Moving forward to NM Fashion Week, April 13th-17th 2016, we will need people to work on everything from web design to sales, research to office organization; no matter your experience level or age, we have a place for your talents. Come see what we’re all about, and become a part of the New Mexico Fashion Week team! After our highly successful New Mexico Fashion Week 2015, planning is underway for next year’s event! Join us for this preliminary meeting to get involved and meet the team. If you are interested in New Mexico’s Fashion Industry, we would love to meet you! At this meeting we will discuss ideas and plans for our third annual event happening in April 2016. This is your opportunity to join in on the fun and excitement of Fashion Week, and meet other like-minded individuals involved with its continued success! Moving forward to NM Fashion Week, April 13th-17th 2016, we will need people to work on everything from web design to sales, research to office organization; no matter your experience level or age, we have a place for your talents. Come see what we’re all about, and become a part of the New Mexico Fashion Week team! Things are getting pretty busy and exciting as we approach New Mexico Fashion Week 2015, just 3 week away! We need your help! Come down to Abq Apparel Center headquarters to check out the Operations Board. We'll match you up with our needs LEADING UP TO, DURING, AND AFTER THE EVENT. Meet other fashion-minded people. All we need is YOU! New Mexico Fashion Week's planning meetings are open to anyone interested in being involved with the preparations leading up to the event on different levels, including team leaders to coordinate a group, those who follow directions and work well with others as a team, and those who accomplish tasks on their own, to achieve our common goal of a successful NMFW event. All volunteers receive special privileges during New Mexico Fashion Week, March 28th-29th at The Albuquerque Convention Center. **Due to designer needs for the show, and space available, this model camp preview session will be for ages 16 and over. There are no children's clothing designers this year. There will be other sessions in the future. Runway Model Workshop is on Sunday in the Grand Ballroom with full runway. These model camps are provided for anyone wanting to learn or better themselves within the modeling industry. We welcome all model shapes & sizes that are new to the industry as well as those with previous modeling experience. ~ A note to our semi-professional and professional models. We are always excited and appreciate having you as part of AAC and NMFWQ. We know you are familiar with the industry and know what you are doing or you would not be as successful as you are. If you would, please plan to attend this model camp preview on March 8th. This will give us an opportunity to meet you, take photographs of you (see info below for dress details), and obtain your information, (or update your information if we already have you on file) for our formal AAC Model Base directory database. You will also be a great inspiration to our up-and-coming models! Thank you. These camps do not guarantee a spot in NM Fashion Week Albuquerque 2015. If you are not chosen for NMFWQ2015, you will be considered for future modeling opportunities offered at AAC, Aveda Institute, Mark Pardo, and other business events state-wide that happen throughout the year. **If you haven't already, please bring your COMP CARDS & RESUMES. We will add them to your file. AFTER 3:00 New Models, if you have not already, you will be photographed and measured for the model database. Bring/Wear black pants and white top, form fitting. Any model who needs to update information or deliver a comp card/resume, you can do so at this time. Make sure to sign in when you arrive and fill out any necessary paperwork. New Mexico Fashion Week and its parent company, Albuquerque Apparel Center, have partnered with researchers at West Texas A&M University to study consumer clothing preferences and country-of-origin effects. The team plans to have all data collected by mid-March, and make preliminary findings available at NM Fashion Week March 28-29. "I am happy to be working with these professionals to try to better understand consumer clothing buying habits and attitudes," said Melissa Lea Beasley, Executive Director and Founder. "This study fits nicely within the mission of the Apparel Center as we seek to build a domestic garment industry in New Mexico." The researchers include Dr. R. Nicholas Gerlich, the Hickman Professor of Marketing, Dr. Kristina Drumheller, Associate Professor of Communication Studies, and Dr. Sarah Vartabedian, Assistant Professor of Communication Studies. Gerlich and Drumheller are reprising an earlier study in which they measured similar attitudes of an incoming freshman class at their university. "The sample for this study will be 500 or more people from all over the US," Gerlich stated. "Our goal is to recruit participants who represent the larger population, and perhaps be able to draw some conclusions about current attitudes toward imported versus American-made clothing and other products." "It is important to study this phenomenon because the industry continues to be in flux," Drumheller said. "There is actually a recent trend toward apparel manufacturing returning to the US, even if these new efforts are foreign-owned." "The study will include participants the researchers recruit on their own, as well as friends and supporters of AAC," Beasley added. "This will allow them to compare national attitudes to those that are more local to New Mexico." New Mexico Fashion Week Albuquerque and Albuquerque Apparel Center represent 25 years in the fashion and marketing industry. It is organized and managed by industry professionals with degrees in-field, from fashion design to merchandising, promotions, public relations, and academia. New Mexico Fashion Week Albuquerque is not affiliated with any other fashion weeks throughout the state of New Mexico. If you are interested in being a model at New Mexico Fashion Week Albuquerque this March 2015: Attendance at BOTH model camps are mandatory for beginning models as you will be learning crucial information and etiquette for runway shows. * A note to our semi-professional and professional models. We are always excited and appreciate having you as part of AAC and NMFWQ. We know you are familiar with the industry and know what you are doing or you would not be as successful as you are. If you would, please plan to attend at least one model camp before the show. This will give us an opportunity to meet you, take photographs of you (see info below for dress details), and obtain your information, (or update your information if we already have you on file) for our formal AAC Model Base directory database. You will also be a great inspiration to our up-and-coming models! Thank you. This segment is set aside for models that were not in attendance for the first model camp. We will be taking your information, measurements, and photos (head shots, body shots, and quarter shots). If you have a comp card and bio, please bring that as well. -Women and girls; Fitted white top, black fitted leggings, hair pulled back, natural make-up, and heels. -Men and boys; Fitted white top, fitted black pants, and dark dress shoes. This segment is for all models, those who attended the first call and those attending for the first time. We will be teaching 40 minute classes on rotation. After each class you will rotate to the next class. 1. )Runway: We will be teaching a basic walk for the runway, camera awareness, music awareness, and garment awareness. You will have a chance at the end of the class to show what you have learned. 2. )Health and Wellness: Sports and Wellness will be there to teach about your personal health and wellness. Children must be accompanied by a parent or guardian. We will be seeing children so long as they can walk down a runway and take direction well. The day of the show can be long and tiresome so please only bring your child if she or he will be able to handle what is required of them to be in the fashion show. This is not a paid gig. It is a casting to walk for designers; up and coming and established. This is great opportunity for your resume, portfolios and networking as a model in the industry. This will be the time to get into the database as one of the ABQ Apparel Center’s models for statewide modeling opportunities, paid and non-paid. Albuquerque Apparel Center announces its first clothing drive to benefit homeless women. "I am thrilled to that Amy is stepping in as past of the AAC/NMFWQ Team to head this," said Melissa Lea Beasley, Founder and Executive Director of ABQ Apparel Center and New Mexico Fashion Week Albuquerque. "We want to do everything we can to enable and equip homeless women to find jobs within the fashion industry and become self-sufficient. To that end, we encourage our patrons and friends to help this worthy cause by donating business casual clothing that can be worn for job interviews as well as meeting with clients. Casual clothing, worn while sewing, working at the design table, etc., is also greatly appreciated," she added. The clothing drive is set to concur with NM Fashion Week Albuquerque, scheduled for March 28-29 at the Albuquerque Convention Center. "We ask those attending New Mexico Fashion Week Albuquerque to bring donations of gently used casual and business casual clothing items, including shoes, to The Albuquerque Apparel Center Community Outreach booth at the event," said Amy Vermilion, Head Outreach Coordinator at ABQ Apparel Center.. Donations can also be made before or after the event. Donors can call Vermilion at 505.301.2683 to schedule for donations to be picked up. New Mexico Fashion Week Albuquerque and Albuquerque Apparel Center represent 25 years in the fashion and marketing industry. It is organized and managed by industry professionals with degrees in-field, from fashion design to merchandising, promotions, public relations, and academia. New Mexico Fashion Week Albuquerque is not affiliated with any other fashion weeks throughout the state of New Mexico. Things are getting pretty busy and exciting as we approach New Mexico Fashion Week 2015, just 6 week away! Application deadline is Feb 14, 2015. The Albuquerque Apparel Center is presenting its second annual New Mexico Fashion Week Albuquerque March 28-29, and welcomes producers, actors, wardrobe and costume departments to join them for a Fashion Expo, Conference, Fashion As Art Sculpture Exhibit/competition, Runway Show, and Workshop. The event will be held in the newly renovated ballrooms at the Albuquerque Convention Center. "The connection between fashion and film is very tight," said Melissa Lea Beasley, Executive Director of AAC and NMFWQ. "With New Mexico being a leader in movie and television locations, we want to do everything we can to welcome the industry to our event, as well as help them in any areas related to fashion and apparel." New Mexico Fashion Week Albuquerque attracts designers and vendors from through Albuquerque and the state. "Our goal is to be a catalyst between TV and movies on the one hand, and fashion designers and vendors on the other," Beasley stated. "New Mexico is one of the most popular destinations, thanks to its numerous inspiring cultures and landscapes," Beasley added. "The sights and essence of New Mexico create trends seen and produced all over the world." "Television and movie productions incorporating styles ranging from Southwest, Native American, Santa Fe, Spanish and Mexican, to the Wild West Cowboy, will find NM Fashion Week Albuquerque to be a great opportunity to source their wardrobe and costume needs locally," Beasley added. New Mexico Fashion Week Albuquerque and Albuquerque Apparel Center represent 25 years in the fashion and marketing industry experience. It is organized and managed by industry professionals with degrees in-field, from fashion design to merchandising, promotions, public relations, and academia. New Mexico Fashion Week Albuquerque is not affiliated with any other fashion weeks throughout the state of New Mexico. New Mexico Fashion Week is pleased to announce that one of its 2014 designers, ODELL by Kayleigh Dawn, has been working with rock singer Dawn Michele, lead in Christian band Fireflight. Kayleigh Dawn Fuhrman, who hails from Atchison KS, was 17 when she debuted her line at NMFW2014. Dawn Michele resides New Mexico; her runway presentation of an ODELL garment was more serendipity than plan. "The two hit it off quickly. One thing led to another, and soon Dawn Michele was walking down the runway in one of Kayleigh Dawn's dresses," said Melissa Lea Beasley. Executive Director and Founder of NMFW. Kayleigh Dawn was popular among the hair and makeup people working at NMFW2014. "She's a visionary," Beasley added, "and she knows exactly what she wants. There's no diva attitude with this young woman." Late last summer, Kayleigh Dawn traveled to Nashville to meet with Dawn Michele and her stylist, Angela Duncan, who was thrilled with Kayleigh's designs. "Angela wants to connect Kayleigh with the film industry and other bands," Beasley stated. "Kayleigh is a perfect example of an emerging designer, one with a fashion-forward outlook that is seasoned by her youthful exuberance," Beasley said. "We are happy that she chose to be a part of NMFW2014, and wish her the very best as her career unfolds." New Mexico Fashion Week Albuquerque is hosted by its parent company, the Albuquerque Apparel Center. The AAC represent 25 years in the fashion and marketing industry experience. It is organized and managed by industry professionals with degrees in-field, from fashion design to merchandising, promotions, public relations, and academia. New Mexico Fashion Week is not affiliated with any other fashion weeks throughout the state of New Mexico. Rock singer Dawn Michele, lead singer in Christian band Fireflight, ODELL by Kayleigh Dawn. Kayleigh Dawn Fuhrman, designer of ODELL by Kayleigh Dawn. With only a few months left until the second annual New Mexico Fashion Week, we are now working on the staging, production, and logistics aspects of our March event. Join us at our meeting at the Flying Star Downtown to work with us in making all the details of the runway show come together! We will discuss all the issues that pertain to our runway show, including: staging, lighting, sound, and layout. Our meeting will be held upstairs at the Downtown Flying Star in the Mucho Room, feel free to order food or drink when you get there. Let the cashier you’re with the meeting, and they will deliver your order to our conference room. New Mexico Fashion Week is proud to announce its first Fashion As Art Contest in conjunction with the second annual event March 25-29. “We’re inviting artists and designers to think beyond normal. Design a dress using non-traditional materials, and have fun,” said Meredith Lockhart, Celebrity Designer and Contest Co-Coordinator. The contest runs from December 29th through January 20th, with finalists announced on January 25th. Adult and Student divisions will be offered, with prizes for the winner in each category. 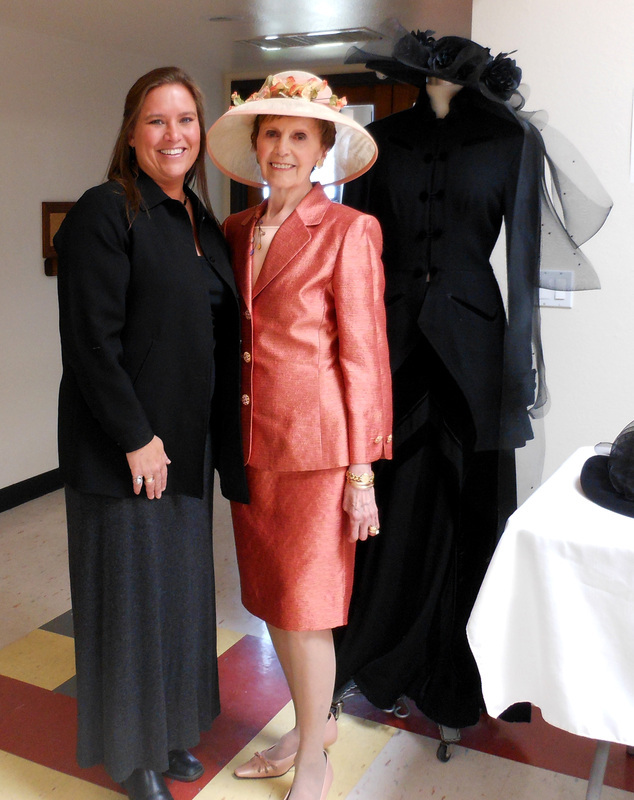 “I am excited with this addition to New Mexico Fashion Week’s list of activities. Our goal is to create the ultimate fashion week event in the southwest,” said Melissa Lea Beasley, Executive Director and Founder. Judging criteria for awards will be on creativity of materials chosen and how they are used, design appeal, quality of workmanship and originality. The subject matter is a dress, but made from non-traditional fashion materials. Dresses need to be displayed on pre-made or hand-made body forms or mannequins that are life-sized. A small percentage (no more than 20%) of traditional materials can be used. Embellishments with crystals and gemstones are acceptable. “Let your mind run wild. The more unusual, the better!” added Lockhart. A Jury Fee is required of all submissions ($50 for Adults, $10 for Students). All entries selected will then be invited to participate in the show ($350 Adults, $50 Students). These entries will be prominently displayed at New Mexico Fashion Week on March 28th and 29th, with a winner announced the evening of the 28th. The event is being held in the Grand Ballroom at Albuquerque’s Convention Center. “Artists can draw from a variety of non-traditional materials to craft something magical,” said Patty Boldridge, Co-Director of the contest. 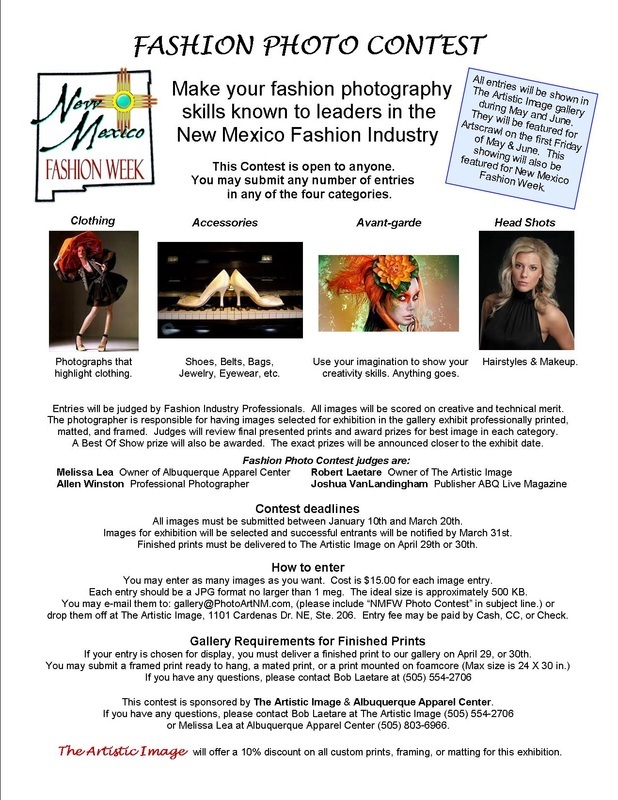 New Mexico Fashion Week Albuquerque is doing a Call For Logos! Here's your chance to put you mark on NMFWQ. Submit your logo proposal soon! This is a great opportunity for artists looking to get their name out there, gain experience, and add to their resume or portfolio. It is also an opportunity for New Mexico Fashion Week Albuquerque to forge professional relationships with artists and graphic designers. --Entries must be submitted by 11:59pm MST Tuesday January 20th by email. --File must be 300dpi JPG format. --The design element is the most important aspect. Southwest and New Mexico colors are preferred, but not required. The logo must look good in color as well as black and white. --Winning entry will be announced on Monday January 25th on our FB page. Only the winner will receive $100 and five free tickets to New Mexico Fashion Week 2015. --The winning entry logo becomes the property and copyright of Albuquerque Apparel Center. All other entries remain the property of their respective artists. --New Mexico Fashion Week will announce the winner on FB, its website, and on the NMFW2015 Program. --Up to three logos may be submitted per entrant. --Participants must be 18 years of age or older. --All submissions must be both scalable and adaptable, and can be utilized in 1X1 aspect ratio (like a Profile pic) as well as horizontal and vertical banners, letterhead, outdoor advertising, etc. --New Mexico Fashion Week reserves the right to issue multiple calls for logos in the event that a winner is not selected. CALL FOR APPAREL & ACCESSORY DESIGNERS. 1. Fashion Expo at which consumers can meet and buy from designers and local retailers. 2. Fashion Conference at which participants meet and learn from the best in industry about merchandising, marketing and social media, and much more! New Mexico Fashion Week is hosted by the Albuquerque Apparel Center, its parent company. Albuquerque Apparel Center represents 23 years in the fashion industry. It is organized and managed by industry professionals with degrees in-field, from fashion design to merchandising, promotions, public relations, and academia. AAC also hosts NMFashionInfo.com, a directory catered specifically to New Mexico. NMFW and AAC provide an arena in which creative talents and the entrepreneurial spirits of New Mexico fashion industry individuals and businesses can flourish. New Mexico is one of the most popular destinations for fashion and inspiration, and thanks to the knowledge and determination of the Albuquerque Apparel Center, New Mexico is being woven into the next Fashion Industry Powerhouse. New Mexico is a wealth of fashion inspiration and ideas that come from its diverse backgrounds and environments. The sights and essence of New Mexico create trends seen and produced all over the world. ..Southwest, Native American and Santa Fe style, Spanish and Mexican, to the Wild West Cowboy and Indian, to name few. In addition to the classic styles, New Mexico is also home to cutting edge Fashion and Accessory Designers who have forged a new design style of their own. New Mexico Fashion Week is pleased to announce its return to the Albuquerque Convention Center for its March 2015 event. Runway shows, fashion expos, and design conferences will be held both days and evenings of the 28th and 29th in the Grand Ballroom A&B. "The City of Albuquerque has shown its support of New Mexico Fashion Week by underwriting our venue space two years in a row. Their vote of confidence demonstrates its faith in us as a premier event for Albuquerque," said Melissa Lea Beasley, Executive Director and Founder of NMFW. The Convention Center recently underwent extensive renovations to bring both wings up to 2014 standards. Its location downtown amid restaurants, bars, and abundant parking ensures both attendees and participants alike an easily navigated event. New Mexico Fashion Week is produced by Albuquerque Apparel Center, whose mission includes establishing and supporting an apparel industry in the City, and helping apparel-related entrepreneurs at all levels of design, manufacture, and distribution succeed. "Fashion Week is where we showcase all of the talent we have locally, as well as within the State and throughout the Southwest," Beasley added. New Mexico Fashion Week is hosted by the Albuquerque Apparel Center, its parent company. 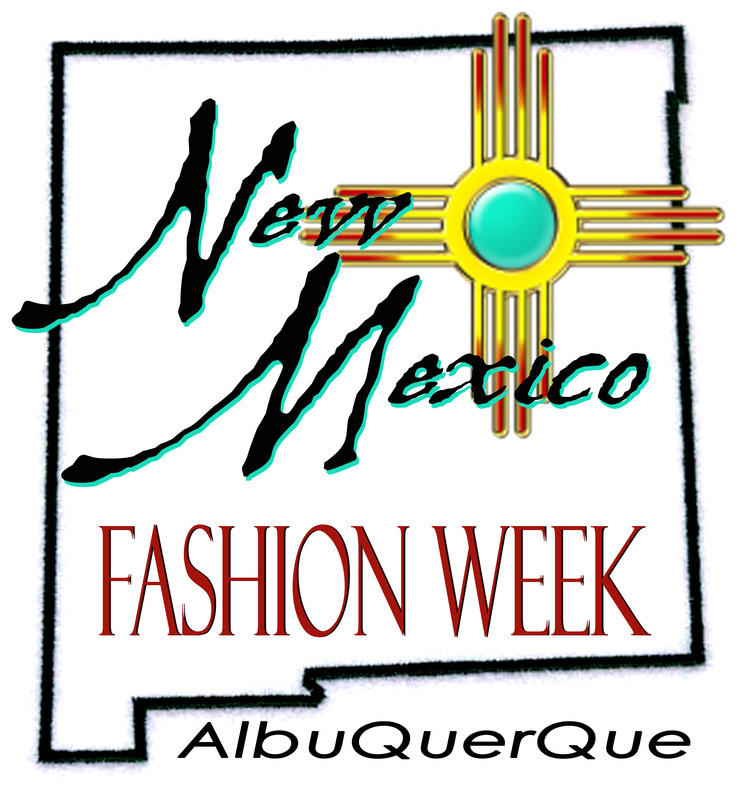 For more information about New Mexico Fashion Week, visit http://newmexicofashionweek.com, or call 505.803.6966. It's getting cold outside but things are HEATING UP at NM Fashion Week. Join us Monday evening to see what has evolved and where you can join in on the excitement while being a part of New Mexico Fashion Industry History In The Making! At this meeting, we will share recent accomplishments, company partnerships & mergers, discuss how the event is playing out up to this point, and see what areas we are still in need of assistance for NM Fashion Week 2015. New Mexico Fashion Week's planning meetings are open to anyone interested in being involved with the preparations leading up to the event on different levels. Leaders, those who follow directions and love working on a team, and self-starters with innovative ideas are needed to execute another successful NMFW event. All volunteers receive special privileges during New Mexico Fashion Week, March 25th-29th. Meet NM Fashion Week Director of Social Media & Marketing, Nicholas Gerlich, Ph.D.
Are you a Facebook addict? Regular Instagrammer? Tweeter of epic tweets? Then we need your help at #NMFW2015! We are in need of people who are comfortable using social media, taking phone pics, and writing a little bit of content. We need to tell the story of #NMFW2015 in words, pics, links, and hashtags. This is a very important part of our overall Marketing plan. Dr Nick Gerlich, our Director of Marketing and Social Media, will be hosting a meeting in ABQ on Monday 20th from 6:30-8:30pm at Flying Star Cafe - Downtown Albuquerque. We look forward to seeing you March 25-29, 2015 in Albuquerque for our second annual event. New Mexico Fashion Week is hosted by the Albuquerque Apparel Center, its parent company. Albuquerque Apparel Center represents 23 years in the fashion industry. It is organized and managed by industry professionals with degrees in-field, from fashion design to merchandising, promotions, public relations, and academia. AAC also hosts NMFashionInfo.com, a directory catered specifically to New Mexico. NMFW and AAC provide an arena in which creative talents and the entrepreneurial spirits of New Mexico fashion industry individuals and businesses can flourish. 1. Fashion Expo at which consumers can meet and buy from designers and local retailers, which includes a Job Fair for those interested in networking and pursuing employment within the industry. 3. Two nights of runway shows featuring the best designers throughout New Mexico and the country. 4. As a reflection of our dedication to the community and the younger generation, we are inviting local schools to participate. Teams of 1-3 students will be assigned a design theme, and allowed to let their creative juices flow. New Mexico is one of the most popular destination for fashion and inspiration, and thanks to the knowledge and determination of the Albuquerque Apparel Center, New Mexico is being woven into the next Fashion Industry Powerhouse. New Mexico is a wealth of fashion inspiration and ideas that come from its diverse backgrounds and environments. The sights and essence of New Mexico creates trends seen and produced all over the world. Southwest, Native American and Santa Fe style, Spanish and Mexican, to the Wild West Cowboy and Indian, to name few. In addition to the classic styles, New Mexico is also home to cutting edge Fashion and Accessory Designers who have forged a new design style of their own. After our highly successful inaugural New Mexico Fashion Week, planning is underway for next year’s event! Join us for this preliminary meeting to get involved and meet the team so far- if you are interested in New Mexico’s Fashion Industry, we would love to meet you! At this meeting, we will focus on meeting and placing volunteers, vendors, sponsors, designers, and students; discussing ideas and plans for our second annual event; and networking. This is your opportunity to join in on the fun and excitement of Fashion Week, and meet other like-minded individuals involved with its continued success! Moving forward to Fashion Week, March 25th-29th 2015, we will need people to work on everything from web design to sales, research to office organization; no matter your experience level or age, we have a place for your talents. Come see what we’re all about, and become a part of the New Mexico Fashion Week team! New Mexico Fashion Week Emerging Designer, Destini Duran of Destinista Fashions, Monica Duran from Monista Arts﻿, Kata Baron from The The Pretty Committee﻿ and Scarlett and David from Rockit Hair Studio﻿. This morning's co-host makeover was another success! 2 KASA Style (2KASA FOX) - May 27, 2014! New Mexico Fashion Week kicked off with a bang this morning! 2 KASA Style co-host Brittany Flowers got a mini-makeover from designer Patricia Anaia, hair stylist Laurence from Rockit Hair Studio and Stephanie McAllister from Mary Kay. Brittany looked great!! 2 KASA Style (2KASA FOX)- May 27, 2014! New Mexico Fashion Week featured designer, Sharidynn Denetchiley of Enlightened Designs. 2KASA Style (2KASA FOX) - May 22, 2014! New Mexico Fashion Week featured designer Jude Gallegos. 2KASA Style (2KASA FOX) - May 15, 2014! Ready to get your Fashion ON? the first ever New Mexico Fashion Week. You heard me...FASHION WEEK! ﻿New Mexico Fashion Week coverage with founder, Melissa Lea. 2KASA Style (2KASA FOX) - May 8, 2014! New Mexico Fashion Week featured designer Sandy Ligget showing her line, Whispirit. 2 KASA Style, (2KASA FOX) May 8, 2014! Great segment to day of New Mexico Fashion Week designer Patricia Anaia on 2 KASA Style this morning! Be sure to catch her full line appearing on the runway Friday, May 30th and Saturday afternoon, May 31st at the Albuquerque Convention Center. The Morning Brew with New Mexico Fashion Week Founder and Executive Director, Melissa Lea Beasley. New Mexico Fashion Week Founder and Executive Director, Melissa Lea Beasley, on 2KASA STYLE (2KASA FOX). 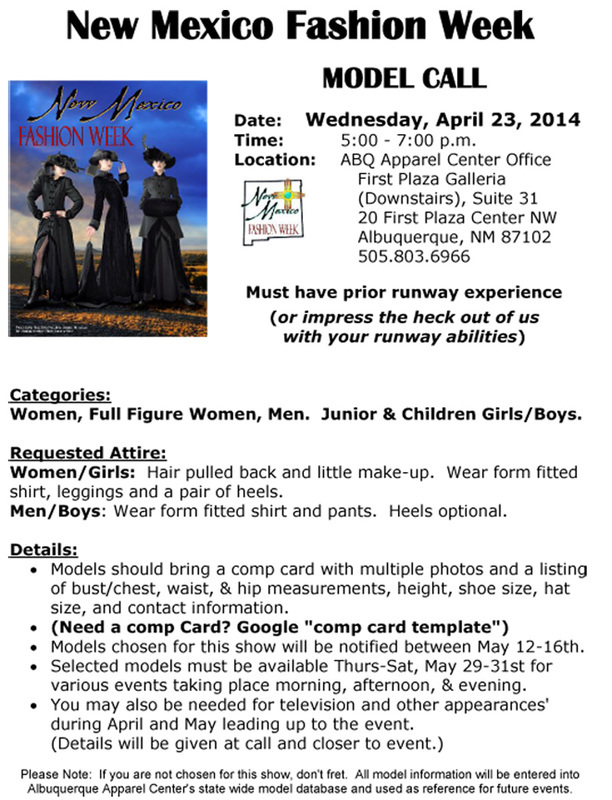 NMFW Planning Meeting: FOCUS: VOLUNTEER PLACEMENT - April 28, 2014, 4:30 p.m. - 6:30 p.m. Things are getting pretty busy and exciting as we approach New Mexico Fashion Week 2014, just 4 week away! Television and Print publicity has brought in a swarm of interested businesses and others interested in Abq Apparel Center, the event, and how to be a part of it. This Mondays, we will focus on placing volunteers who are interested in being a part of New Mexico Fashion Week into areas in need of assistance during the days of the event, May 29-31. See detail below. Hope to see you there. If you are simply interested in seeing what’s going on up to this point, you are welcome to come and check things out even if you are not interested in volunteering. Simply knowing what's going on and being able to pass on that information is/when needed helps us. At this meeting, we will focus on placing volunteers who are interested in being a part of New Mexico Fashion Week into areas in need of assistance during the days of the event, May 29-31. If you would like to help out anytime during the event, this is your time to signup for areas you are interested in. This is your opportunity to join in on the fun and excitement of New Mexico Fashion Week and meet other like minded individuals involved with its creation and success along with you! Join us at the First Plaza Galeria - Downtown Albuquerque. PLEASE NOTE THIS NEW MEETING LOCATION. New Mexico Fashion Week's planning meetings are open to anyone interested in being involved with the preparations leading up to the event on different levels, including team leaders to coordinate a group, those who follow directions and work well with others as a team, and those who accomplish tasks on their own, to achieve our common goal of a successful NMFW event. All volunteers receive special privileges during New Mexico Fashion Week, May 29-31 at The Albuquerque Convention Center. Tables are provided at our meeting location and you are welcome to bring a bite to eat if you like. Fashion designer creates hub for NM designers - KRQE News 13. NMFW Planning Meeting: FOCUS: SALONS, MAKEUP ARTISTS & DESIGNERS - April 14, 2014, 4:30 p.m. - 6:30 p.m.
At this meeting, we will focus on Salons and Makeup Artists who are interested in being a part of New Mexico Fashion Week. NMFW Designers are encouraged to attend as well. We will discuss designers needs in the area of models and styling desired, and put together a schedule for the 3 day event week as well as TV appearances' leading up to Fashion Week. This is your opportunity to join in on the fun and excitement of New Mexico Fashion Week and meet other like minded individuals involved with its creation and success along with you! Join us at Flying Star Cafe - Downtown Albuquerque. New Mexico Fashion Week's planning meetings are open to anyone interested in being involved with the preparations leading up to the event on different levels, including team leaders to coordinate a group, those who follow directions and work well with others as a team, and those who accomplish tasks on their own, to achieve our common goal of a successful NMFW event. All volunteers receive special privileges during New Mexico Fashion Week, May 29-31 at The Albuquerque Convention Center. Tables are provided in our meeting room and you are welcome to place a food order downstairs when you arrive that will be brought to you upstairs when it is ready. Melissa Lea Beasley with New Mexico Congresswoman Michelle Lujan Grisham, newest fan of Albuquerque Apparel Center & New Mexico Fashion Week. Thanks for your support Michelle and looking forward to working together soon! NM Fashion Week Marketing and Sponsorship Meeting: March 31, 2014, 4:30 p.m. - 6:30 p.m.
NM Fashion Week Marketing and Sponsorship Meeting: March 17, 2014, 4:30 p.m. - 6:30 p.m.
At this meeting, we will focus on Marketing, Sponsorship, and other Fundraising areas. Sponsorship and Fundraising positions offer financial compensation. If you would like pointers on how to approach potential sponsors or donators, join us Monday, March 17th at Flying Star. We will provide you with a NMFW Sponsorship Packet, Q&A, plus role-playing of various scenarios you may encounter. By the time you leave, you will have the confidence and expertise to inform and convince any business to join in on the Historic Event that is New Mexico Fashion Week! New Mexico Fashion Week Meet & Greet and Planning Meeting: March 10, 2014, 4:30 p.m. - 6:30 p.m.
At this meeting, we will discuss the various areas/departments needing attention right away and leading up to the event, some of which provide financial compensation. All volunteers receive special privileges during New Mexico Fashion Week, May 29-31 at The Albuquerque Convention Center. THE FRONTIER OF FASHION IS HERE!! Introducing NEW MEXICO FASHION WEEKS First installment of Fashion Art Films from various local cinematographers promoting this exciting event! being held at the Albuquerque Convention Center, May 29 - 31, 2014, through the lenses of New Mexico's video artist community. Michelle Parra (Miss New Mexico Latina 2013), Candice Sandoval, Garrison Taylor, Atiba Wade. Designers: Kendra Williams, "Montana Dreamwear" Celeste Sotola, Benjamin Lowney, Blake Elizabeth, Candice Sandoval. and downloadable version of this flyer. New Mexico is a wealth of fashion inspiration and ideas that come from its diverse backgrounds and environments. The sights and essence of New Mexico creates trends seen and produced all over the world. Southwest, Native American and Santa Fe style, Spanish and Mexican, to the Wild West Cowboy and Indian, to name few. In addition to the classic styles, New Mexico is also home to cutting edge Fashion and Accessory Designers who have forged a new design style of their own. New Mexico is one of the most popular destination for fashion and inspiration, and thanks to the knowledge and determination of the Albuquerque Apparel Center, New Mexico is being weaved into the next Fashion Industry Powerhouse. Scheduled for May 29 - 31, 2014, AAC will launch it's first New Mexico Fashion Week, showcasing a charismatic diverse collection of classic, contemporary, and cutting-edge Fashion Designers. In addition, industry professionals will share their business knowledge via NMFW seminars. New Mexico Fashion Week and AAC will also introduce Albuquerque Fashion Market, soon to be a permanent fixture in the city of Albuquerque, consisting of a collection of juried booths offering the finest New Mexican and other USA made fashion products, supplies, and services. for New Mexico Fashion Week, being held at the Albuquerque Convention Center, in the heart of the downtown Albuquerque. For more information and to apply, please visit their website: http://www.newmexicofashionweek.com/-get-involved.html.